This is for a set of my 3 handmade gift tags. These are "Tea Party" themed that I have embellished each one with sugar glitter roses, pears, vintage satin ribbons, silk rose, pearls etc. These also can be used for scrapbooking, journaling, perfect for teacher, housewarming or a hostess gift and bookmarks! 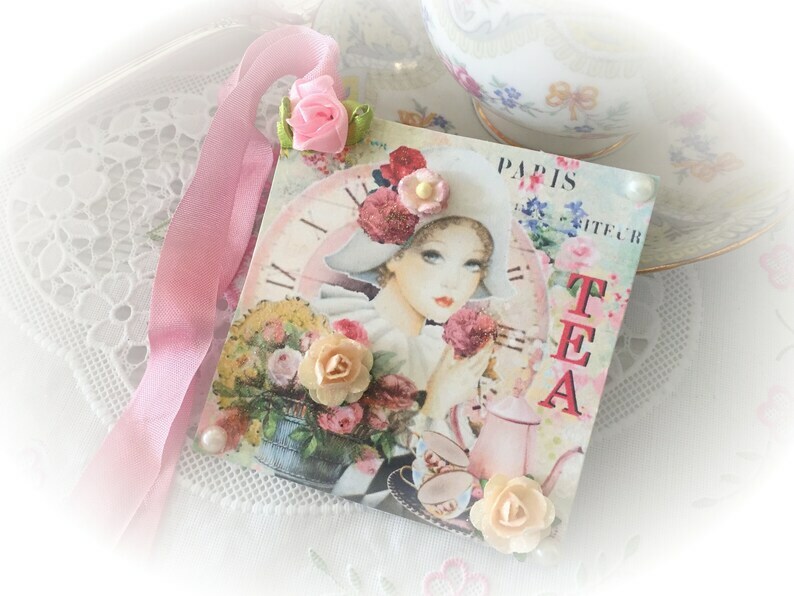 Ideal for a tea party, bridal wedding shower, fancy party, afternoon tea, Mother's Day tea, etc. These are 3.25" x 3.25" inches.